The need: Leasing property, equipment &/or cows can be a way of expanding a dairy enterprise without having to borrow heavily, investing in the capital growth of agricultural land, or stepping out of active farming without selling the property. For lease arrangements to be successful, both the Lessor and Lessee must have an appreciation of each other’s position and be very clear about what to expect from the other over the period of the lease. What we did: The Harris Park Group developed the Leasing Dairy Assets Resource Pack with a Dairy Moving Forward Working Group of farmers, advisers, corporate lessors and a solicitor. 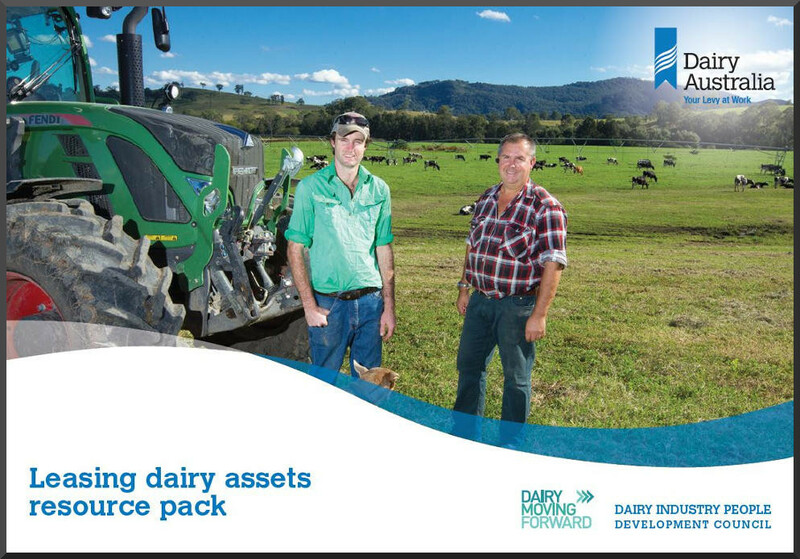 The pack provides the tools and template agreements to use as a starting point when dairy lease agreements are being considered.